We are focused on providing the very highest quality training programs, with professional coaches working in a positive and safe training environment. 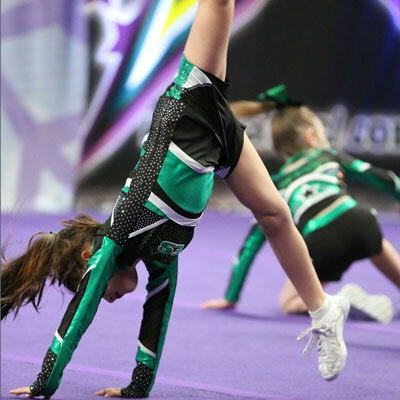 I’m so glad I found Visual Energy Studios because my 8yo was cartwheeling and back bending her way around the house and I didn’t know what to do with her!! I wasn’t keen on taking her back to calisthenics and when a friend suggested cheerleading I was really excited! Not only did Visual Energy accept her with open arms, they also had a suitable class for my 3yo who has a mild case of cerebral palsy – the bonus? They both LOVE IT!!! The professional coaches care about their athletes and I’m so happy that my girls have such a positive and uplifting place to go, participate and build their confidence.